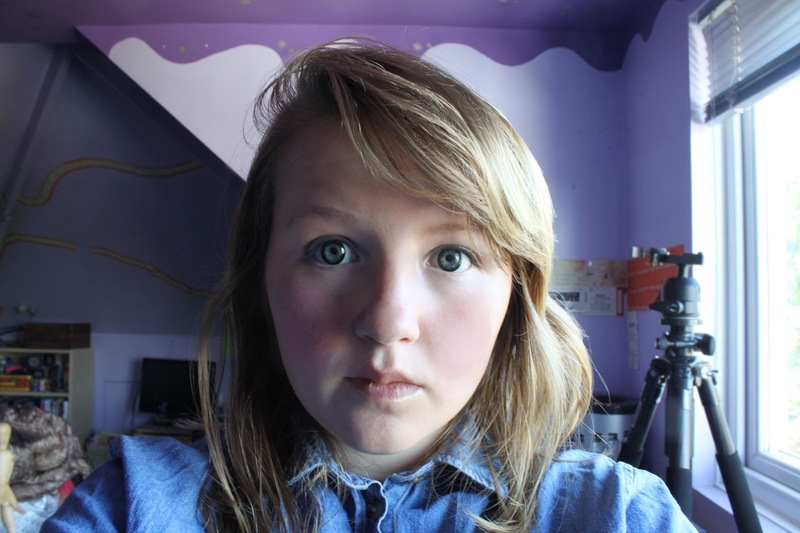 Note: I have edited the pictures in the review but I have not edited the colour of the lenses at all. They sent the lenses out on the 11th of June and they arrived on about the 19th I think which is pretty fast shipping from Korea (I was then on holiday for a couple of days which is why I'm doing the review now). They came in a bright pink padded envelope and were wrapped in bubblewrap so it seemed safe enough. I forgot to take photos of that though... whoops. The first couple of pictures are a bit off as I remembered last night I needed to take pictures before I opened the bottles... And the lense in the bottple wasn't cooperating at all ¬_¬. 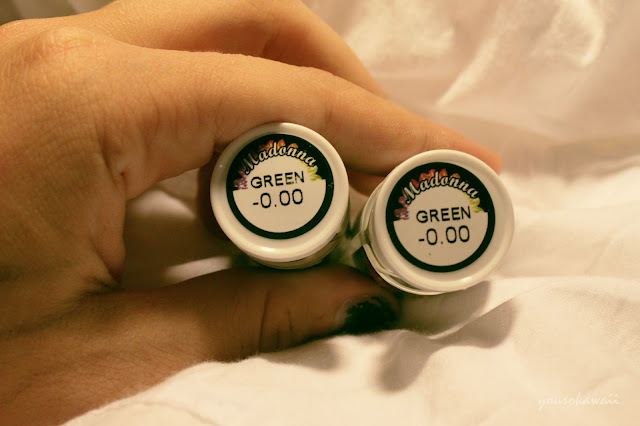 I was a bit dissapointed at first because in the bottle the lenses looked grey but once I tool them out (as you can see below) they were quite green. 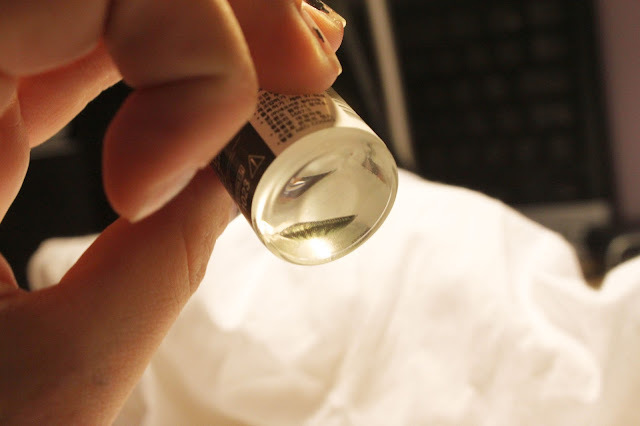 I couldn't get a picture of the lense in it's case as I use a Hydrogen Peroxide cleaning thing with a special case, but this is what it looks like out of the bottle. The design on these is actually really nice, however the whole design doen't show up on my eyes unless I'm under artificial light. I took a mark off for that and the fact that the limbal ring is a bit big for my liking, it takes away from the design a bit in my opinion. The colour is nice, but it's not amazing. It looks great when it's out of my eyes but as soon as it's in them it's kind of taken away and only slightly alters my natural eye colour (apart from the black ring). You can't see the variety of colours from the lense in my eyes most of the time, just the outer green. It maybe different for darker eyes but for me there's no dramatic colour change. Considering these are 14.0mm lenses they enlarge my eyes a hell of a lot. As soon as I put them in I noticed that my eyes looked pretty big, I think this is a lot to do with how large the limbal ring is. So for the size of the lenses there is a huge enlargement. In the pictures the lenses don't look too unrealistic. But when I was wearing them in real life I felt somewhat like a reptile and I think these would be good for cosplaying some sort of lizard. They just felt really unrealistic to me. Again I think it's because the limbal ring is just so thick that it makes your eyes look really unnatural. 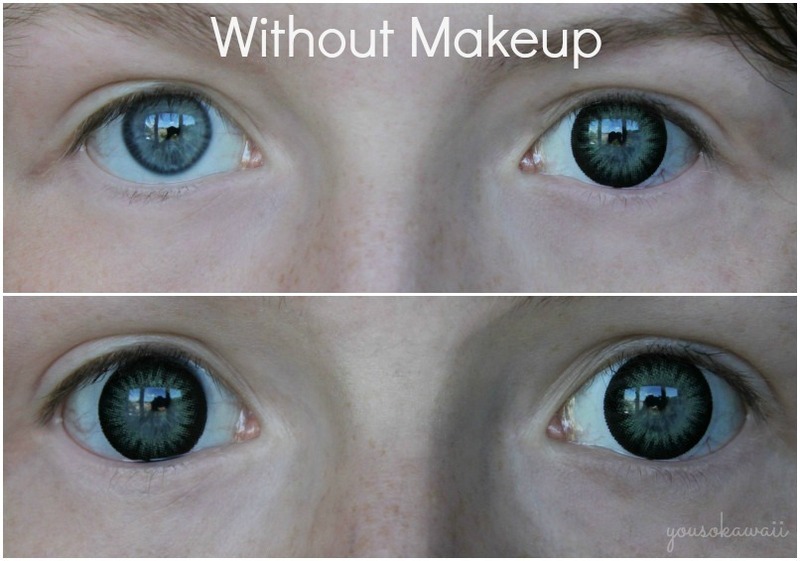 People will definitely be able to tell you're wearing lenses. They do make my eyes look really young and babyish at the same time too. Although they were relatively comfortable they did irk a little bit. My left eye hurt a lot but this was because (As I discovered when I took them off) I had a tiny bit of dirt in them. And the right eye was comfortable but I could still tell I was wearing lenses and I didn't feel I could keep them in for a long long time. These are good if you want really large eyes but small diameter lenses and don't mind them looking unnatural. The colour is nice but nothing to shout about and I will definitely be wearing these again. The reason they're not a lower score is because they are great value for money, only $10.99 for these lenses is a pretty good deal and good if you just want to try that really large eye look out. 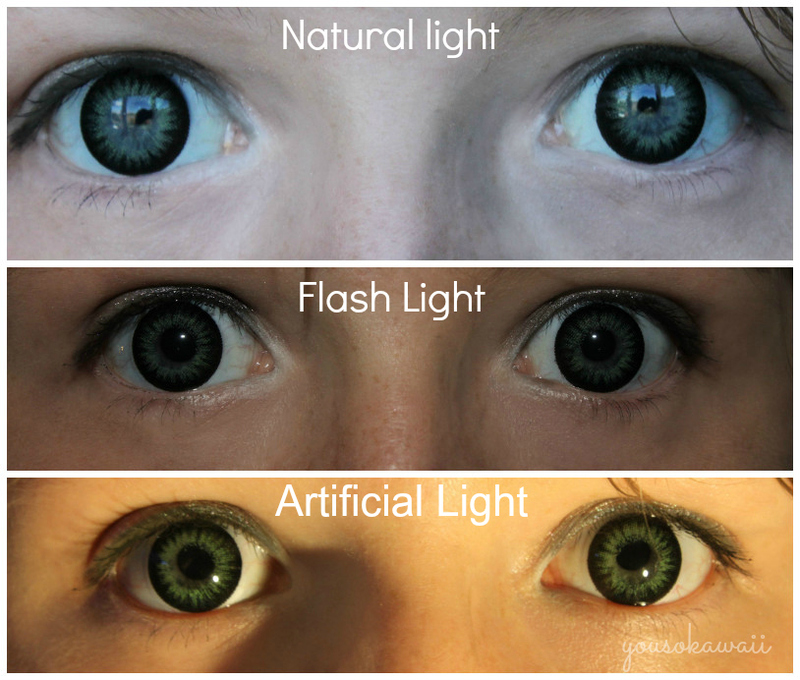 I also think these lenses are probably more suited to those with darker eyes. Obligatory selfie. these lenses definitely made me feel cool and make it feel like I had giant eyes. I kept widening my eyes and being like 'wow they huuge'. And looking at this picture they do look pretty nice. Click the banner below to check out Kpop2's circle lenses and look at there $10.99 range (they have over 200) just click the banner below. They make me feel a bit like a doll. nice review <3 your blog is very lovely and interesting. im glad if you visit my blog, too <3 keep in touch! hese accessories aren’t only exciting but these can be used to mix and match with whatever wardrobe you have. 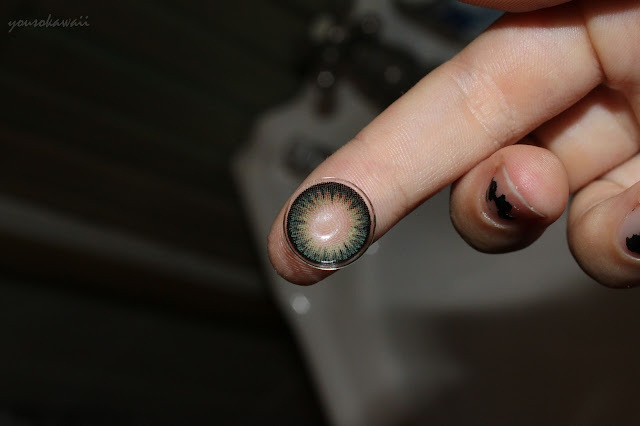 You can find colored contacts which are disposable to those that can be used from a week to a year. That looks mesmerizing.....!You look very stunning too, I think these these lenses are probably more suited to those with darker eyes.